1. The incomplete recycling logo/symbol to be used on the packaging of a Music CD ROM is seen below. Combine the two images to complete the final design. 2. 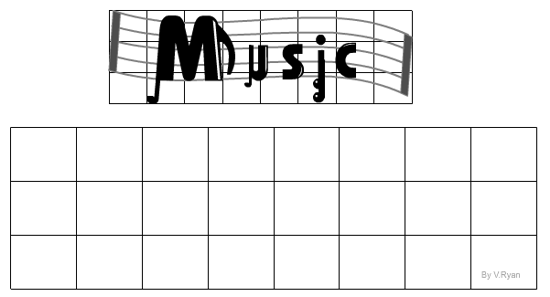 The graphical symbol seen below has been designed for the packaging of a music CD ROM. It has been decided that the same symbol is to be used on posters promoting music in schools. Enlarge the symbol by drawing it accurately in the grid. Add colour / shade to enhance the final presentation. 3. The CD ROM manufacturer has decided to give away a free gift as an incentive to potential customers. The outline of the free gift, a key fob is seen below. 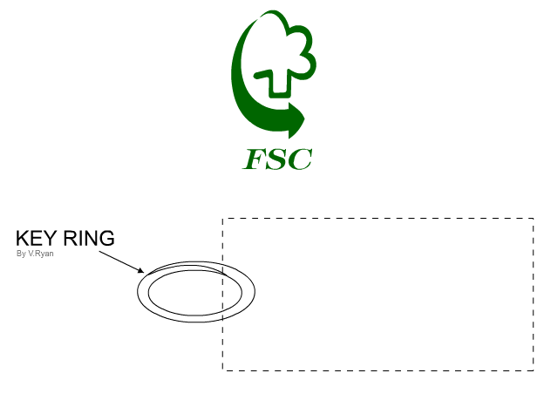 Use the recycling symbol as a guide. Draw a suitable shape as the outline of the key fob. Add the symbol (including letters) to the key fob. Add colour and shade to enhance the presentation. 4. Name a suitable material for the manufacture of the key fob. 5. In the space below explain why you think the material named above is the most suitable. 6. Making a prototype is often the first stage of testing a design. What is a prototype? 7. Name a suitable material for the manufacture of the prototype key fob. 7. Explain why you selected the material named in question 7.